The semi-automatic vacuum packaging machine evacuates and welds even in the smallest of spaces and is thus particularly well-suited to small production lines or small series. 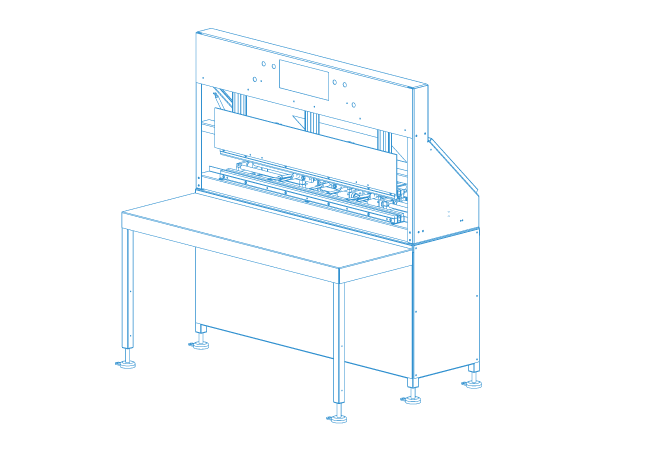 Fitted with the VSM® system, the VSM® 1205 evacuates products gently and, at the same time, reliably. The VSM®1205 is the all-rounder for small batches and extra-large products. The extra wide vacuum station with continuous welding bar enables the vacuum sealing of two individual products or one large product.